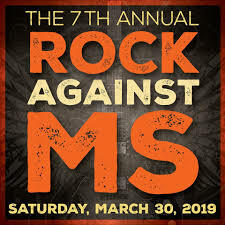 The 7th Annual Rock Against MS Concert & Awards Saturday, March 30th, 2019 - Get Your Tickets Today! Dress to Rock for the 7th Annual Rock Against MS concert and awards show, Saturday, March 30th, 2019. Join this star studded event to enhance the quality of life for Multiple Sclerosis patients. Get your tickets today! LOS ANGELES - March 5, 2019 - PRLog -- Dress to Rock for the 7th Annual Rock Against MS concert and awards show, Saturday, March 30th, 2019. Join this star studded event to enhance the quality of life for Multiple Sclerosis patients. Get your tickets today! Legendary drummer MARKY RAMONE & his band MARKY RAMONE'S BLITZKRIEG Featuring GREG HETSON on guitar, to dominate the stage at the 7th Annual Rock Against MS.
Marky Ramone will be back in LA for the first time in 5 years with his band Marky Ramone's Blitzkrieg featuring Greg Hetson (Circle Jerks/Bad Religion). The concert will also feature our star studded tribute to the artists that we lost in 2018. Originally, Steve Stevens and Billy Morrison had an idea for a concert to raise support for Nancy B. Sayle, Founder of the Rock Against MS Foundation, as she continued to fight her battle with Primary Progressive MS. Now 7 years later Nancy continues to use her platform to bring out an incredible lineup of artists, musicians, comedians and friends in the industry for a once-in-a-lifetime night that raises awareness and support for people just like her whose lives have been impacted by MS.